With 16MP camera, Alpha 27 resolution’s performance is a little disappointing and lower than NEX-F3’s one (due to translucent mirror) though it, to some extent, surpasses Alpha 35. In basic ISO 100, the device gained a score of 24 (JPEG) and 26 (RAW). These results were still maintained until ISO 1,600 was set then RAW’s result reduced down to 24. Noise started increasing above ISO 1,600 and when noise reduction was activated, for JPEG at ISO 6,400, speed dropped to 22. In highest settings including ISO 12,800 or 6,400, performance was quite good and able to keep speed at 20-22 from JPEG to RAW. Light interference appeared noticeable from ISO 6,400 for JPEG format while RAW showed light interference from ISO 800 and a little color interference at ISO 6,400. Though, the issue can be fixed easily. 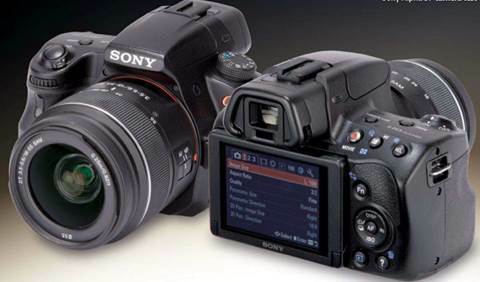 All Sony Alpha models, since the release of Alpha 35 featuring 12.7EV, have performed well in test of dynamic range. Although final measurement for Alpha 37 was not available, through our test the device’s sensor seemed no less impressive. Shaded area consisted of many hidden details which could be rescued by calibration tool, though, with little noise. This means that by doing exposure for highlights, you are able to widen your range. Fast frame rate means that in appropriate lighting, it can be manually done without being blurred. Auto-white balance did well in many environments, delivering neutral color throughout the process. 4 different options for fluorescent lighting appeared useful for indoor-capturing while custom setting allowed for spot focus to select a neutral of white area as a reference in the scene. They were extremely handy options when writing JPEG format though it didn’t matter with RAW. Live colors on camera’s screen looked bright and vivid plus natural. Most JPEG photos could be considered ready for printing without any adjustment. Creative styles provided by Fn menu featured vivid, portrait, landscape and sunset, along with settings for contrast, saturation and each preset’s sharpness. The 1200-zone meter supplied accurate results, enabling the camera to deal with scene having unfriendly contrast. The priority was for panorama, contrary to highlight which could be more preferred. However, a 0.3EV correction ensured that all highlights were saved while shadows could be restored by calibration tool. Alpha 37 owns a wide range for auto-focus points, of which the total amount is 15. They are spread all over the frame, including 3 cross-type points. In comparison, Nikon D3200 has 11 point and 1 cross-type and Canon EOS 1100D features 9 points plus 1 cross-type. Object-tracking was well performed in local/wide/regional AF settings as well as tracking object around the frame with the nearest AF point. Single focus was fast and accurate whereas its value might fall due to noisy AF engine in kit lens. LCD screen receives popular tilt control from Alpha and NEX models, allowing it to rotate 55 degree downwards or 135 degree upwards. It appears quite helpful in shooting photos that are over the head or at flank’s level or close to the ground. However, it’s a downside that aside from tilt level, the 2.7in screen’s resolution was reduced down to basic 230,000 pixels. Though usable and able to deal with reflection, it cannot compete with 3in screen’s 921,000 pixels that we have long expected. Though, viewfinder was renewed and superior to Alpha 35’s one thanks to a 48% increase in pixel’s amount. This makes a difference when drawing lay-out and, of course, prolongs the consistency of digital viewfinder. In fact, with such information provided, it’s hard to remember optical vision. 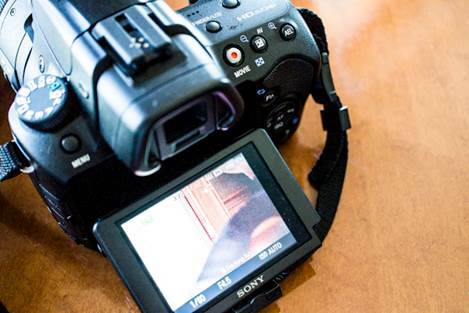 Video was recorded at 1920x1080pixel resolution with 60/50i or 24/25p in AVCHD format, or 30p in MP4 format. This is quite odd for a basic model; Alpha 37 has not only an integrated microphone but also a port for external microphone. Like basic cameras, Alpha 37 provides many benefits. The amount of its smart features enables you to achieve impressive results. Nonetheless, the new sensor seems insufficient to fix the effect of translucent mirror, resulting in image quality lacking details and getting noise. Improvements for display’s resolution as well as noisy kit lens would help this model very much. Whereas I sometimes think of EVF, I’m sure to choose NEX-F3 rather than either NEX-F3 or Alpha 37. Like basic cameras, Alpha 37 provides many benefits.